Speakeasies were glamorous underground nightclubs in America that sprang up as a result of Prohibition, which lasted from January 1920 until December 1933. Even though they are credited with changing the face of American bars, they did little to contribute to the craft of making cocktails. Since these nightclubs were illegal, the focus was on packing as much alcohol into as little space as possible, so customers usually drank straight whiskey, or whiskey and ginger ale, and they also drank lots of gin, since cheap gin was relatively easy to make in a bathtub. It was during this time that the Dry Gin Martini became drier and drier since more gin and less vermouth fulfilled the speakeasy's aims of packing more alcohol into every glass. The other major change that occurred in America during the reign of the old speakeasies was that, for the very first time, it became acceptable for women to go out to bars, thus transforming the American bar scene forever. After the repeal of Prohibition, the bars of America re-opened, but many of the skills of the old bartenders had been forgotten. The new breed knew only how to mix rum with cola, very dry Martinis, and perhaps a half a dozen other basic cocktails. 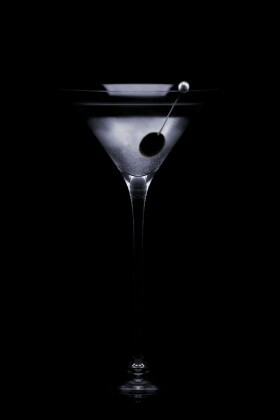 Regardless, drinks such as the Gin Martini, Manhattan, Rob Roy and a few others eventually became status symbols in the USA. By the time the 50s rolled around, it had become very stylish to be able to make and drink, the driest Martinis possible. Bartenders were also proud of their well-crafted classics that made it through the Great Drought and emerged on the other side - transformed into cocktails that represented stylish lifestyles. Stay up to date on the latest Diageo Reserve World Class Global Final news on Facebook by following us at www.facebook.com/globalworldclassfinals. Since its debut in 2009, the Diageo Reserve World Class Global Final has grown into one of the most influential bartending events of the year, where some of the best emerging and charismatic personalities gather to celebrate a shared obsession, the art of being a bartender. At the end of a week of gruelling competition, fresh talent is uncovered, novel techniques start to generate buzz and new trends begin to shape the industry for the year ahead. In the lead up to this year’s Global Finals that will take place from 4 – 9 July; this is a series of short World Class specials covering the trend of the moment, Retro Chic and some exclusive Global Final moments.